Development of the Dornier Do335 started in 1942 when the Luftwaffe issued requirements for an 800km/h class high-speed military aircraft. 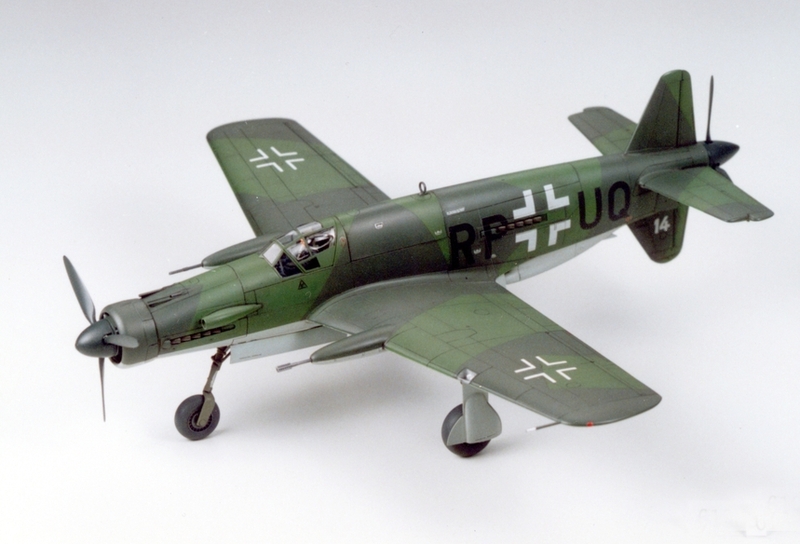 In order to achieve such speed and maneuverability, the Do335 was equipped with two front/rear mounted 1750hp DB603 liquid-cooled engines. If one of the engines failed, the plane was still able to fly safely. Moreover, the Do335 was fitted with an ejection seat. The first prototype made its maiden flight in October 1943 and preparation for production of the Do335A-0/A-1 fighter-bomber version and A-12 training version was made. In the summer of 1944, the improved Do335B was developed and the heavily armed version designated the B-2 was planned. This version was intended to intercept Allied b-17 and B-24 bombers conducting raids on German soil. Two prototypes designated M13 and M14 were completed and armed with two 20mm guns, a 30mm cannon firing through the spinner in the nose, and two 30mm MK103 cannons mounted on the leading edge of the wings. The leading edge fuel tanks were transferred to outer wings and another fuel tank was mounted in the bomb bay. As weight increased, from landing gear leg was reinforced and a larger tire that rotated 45 degrees when retracting was mounted. A bulletproof windshield was also mounted. The M13 made its first flight in October 1944 and the M14 was completed in November, but none saw actual combat. M13 received extended wingtips and the 30mm nose mounted cannon of the M14 was removed to reduce weight. M13 was destroyed before the end of the war but M14 was captured and evaluated until 1948 by the French Army.